Brit Decor : Home Page: Brit Decor: Christmas with Zazzle.co.uk! I am generally one of those people who gasps in horror at the sight of any Christmas paraphernalia hitting my eye-line before the month of November, although I do concede there are benefits to forward planning! However, now that Halloween and, for us Brits, Guy Fawkes night, is behind us, I am rolling up my metaphorical sleeves to begin the task of thinking about which gifts I might buy for loved ones this Festive season. I know it's a much joked about problem but actually - what do we buy the person who has everything? Seriously? My dream scenario would be to have all the free time in the world to devote towards creating my own unique gifts, customised for each very special and individual recipient. Of course the reality is very far removed from the fantasy because individual 'make' projects take time, and lots of it, in fact more precious time than most of us have to spare. That's why I recently jumped at the opportunity to team up with the lovely folk at Zazzle to collate a collection of 'Christmas-cool' with a unique selection of gifts, which I have chosen from their extensive range of original products. I love how this online store allowed me to be creative and run wild with the wealth of customisable options available, including choice of colour palettes, editable text, and I could even upload my own images, which were then cleverly applied to my chosen gifts. Note to all my instafriends - you may be excited to learn that Zazzle can also apply a selection of your favourite Instagram photos to products like cushions and in a design of your choice too. 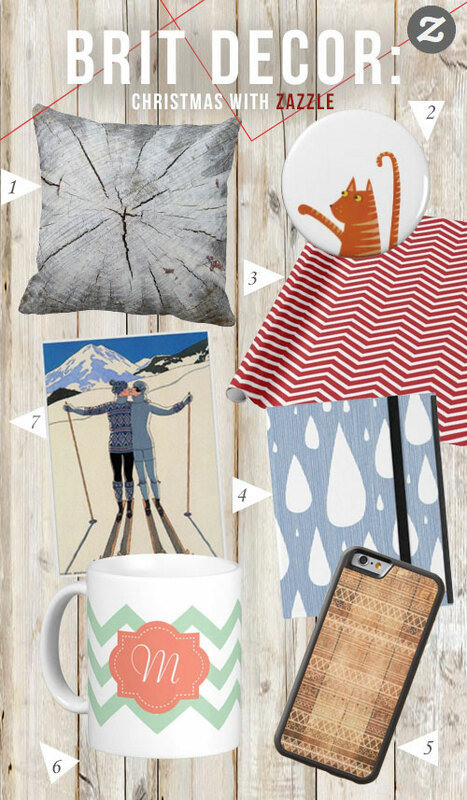 Imagine turning your favourite pics into stylish home wares! With a huge and exciting collection of trending chevron designs, graphic prints and the latest home-wares styles to click and scroll my way through, Zazzle has definitely made it into my little black book of interiors goodies. So thanks to Zazzle, this year I won't be experiencing any of the usual pre-Christmas gift buyer's angst, because I have found the perfect shopping solution. This way, I can still apply my own creativity to each gift but I get somebody else to do the making part - it's a win-win situation! 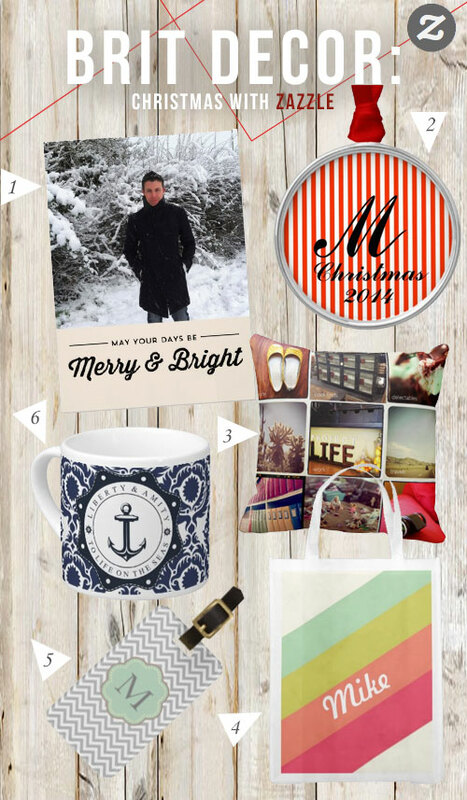 I hope this selection has inspired you to put some Zazzle into your Christmas! I'd love to hear how you add your own creative touches to Christmas gift buying.